A Girl & Her Food: 2014 James Beard Foundation Semifinalists in Chicago are here! 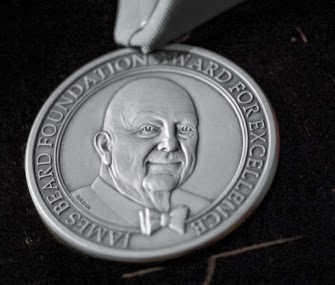 2014 James Beard Foundation Semifinalists in Chicago are here! The James Beard Foundation announced yesterday the Chicago semifinalists for their 2014 restaurant and chef's award categories. I am thrilled to see some of my favorite Chicago restaurants and chefs in the running. The finalists from the entire country will be announced on Wednesday, March 19, at The Publican in Chicago, and the winners will be announced during the 2014 James Beard Awards, held in New York City on May 2nd and 5th.